Infertility has been on a rise for a past few years and surveys show that every one out of six couples go through infertility. But the main question that needs to be addressed here is that – What is the reason behind this rise in infertility? Well, infertility is not some kind of disease that spreads through and increases over the years. It is a combination of one or few biological factors in a human body due to which a couple is unable to conceive or reach a full term even after trying for at least a year. And there is no single reason behind this. However, research suggests that while infertility can be a completely natural phenomenon, it is also heavily affected by the lifestyle choices like what we eat and drink, sleeping habits, stress and work pressure, etc. Since, most of the time it is difficult changing our lifestyle habits, it is better to start visiting gynecologist in Noida as soon as one reaches adult age. 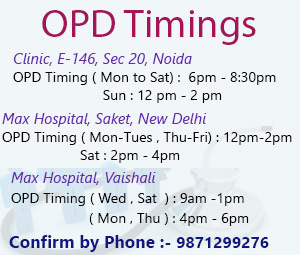 Finding a gynecologist in Noida or gynecologist in Saket is not very difficult. One can even reach a good gynecologist in Vaishali as well. Dr.Sharma is one of the best infertility specialist in Noida. Another major reason behind rise in infertility is couples postponing pregnancy to a later stage in life considering the career decisions. Also, it is trend nowadays of having a nuclear family that is small, and having babies at a later stage of life. And this has been considered a possibility because of the advancement in the reproductive technology lately. However, this doesn’t covers the fact that getting pregnant at late 30s will not at be as easy as it would have been in 20s. All things said, this is a problem that needs to be tackled. And it will be possible by visiting the best gynecologist in Noida regularly, that too starting as early as possible. And if one is going through infertility then without wasting any time you should visit infertility specialist in Noida that provides the best laproscopic gynae surgeon in Noida. It is suggested that you visit an infertility specialist in Noida if you relate to any of the following circumstances.